I am Maître de Conférences - HDR (Associate Professor) in Computer Sciences at University Grenoble Alpes and researcher in the Pervasive Interaction team of the LIG laboratory and Inria . My current research interests are about multimodal perception and behavior analysis, mainly of humans, in the context of smart spaces/ubiquitous computing, healthcare and assistive technologies and/or affective computing. These researches could be applied to sociable robot companions, autonomous cars, smart homes or any human/agent interactions. Machine Learning (including Deep Learning) with several sensors (microphones, cameras, RGB-D, LIDAR, ...) for perception of Humans. These researches addresses the use of multimodal sensors (microphones, cameras, RGB-D, LIDAR, ...) to perceive humans, their behaviors and mental states. These researches start from low level signal processing up to high level machine learning. Deep Learning is now included as machine learning technic for its performance on some of our perception tasks. Use perception of humans and sociable feedback from the system in the interaction loop. In the first part of the interaction loop, we use perception of humans as input for intelligent systems (robot companions, social robots, autonomous cars...). This information permits to anticipate human needs or to predict human behaviors. The second part of the interaction loop, feedback from the system is studied. For instance, in the case of a social companion, its animation must reflect its internal state and must be directly readable/understandable by its human partner(s). For mobile devices, mobile robots or autonomous cars, their navigation must be sociably acceptable and predictable. Perception within smart spaces from two points of views. On this research topic, two points of view are addressed. The first one is how to distribute perception systems in smart spaces or in ubiquitous environments. Our reflection leads to Omiscid, a middleware for distributed (perception) systems in such environment. The second point of view inquiries usage of perception researches to help people in their daily life at home (notably elderly) or at work. We also study usage of IoT objects to complete human perception/system feedback in smart spaces or smart homes. Since 1998, I was involved in many research projects. I also initiate some personal projects on some specific topics like in the MobileRGBD project. MobileRGBD, a publication on BRAF-100 French corpus. This article reports on an investigation of the use of convolutional neural networks to predict the visual attention of chess players. While the visual attention model described in this article has been created to create saliency maps that capture hierarchical and spatial features of chessboard, in order to predict the probability fixation for individual pixels. Using a skip-layer architecture of an autoencoder, with a unified decoder, we are able to use multiscale features to predict saliency of part of the board at different scales, showing multiple relations between pieces. We have used scan path and fixation data from players engaged in solving chess problems, to compute 6600 saliency maps associated to the corresponding chess piece configurations. This corpus is completed with synthetically generated data from actual games gathered from an online chess platform. Experimental realized using both scan-paths from chess players and the CAT2000 saliency dataset of natural images, highlights several results. Deep features, pretrained on natural images, were found to be helpful in training visual attention prediction for chess. The proposed neural network architecture is able to generate meaningful saliency maps on unseen chess configurations with good scores on standard metrics. This work provides a baseline for future work on visual attention prediction in similar contexts. Autonomous Vehicles navigating in urban areas have a need to understand and predict future pedestrian behavior for safer navigation. This high level of situational awareness requires observing pedestrian behavior and extrapolating their positions to know future positions. While some work has been done in this field using Hidden Markov Models (HMMs), one of the few observed drawbacks of the method is the need for informed priors for learning behavior. In this work, an extension to the Growing Hidden Markov Model (GHMM) method is proposed to solve some of these drawbacks. This is achieved by building on existing work using potential cost maps and the principle of Natural Vision. As a consequence, the proposed model is able to predict pedestrian positions more precisely over a longer horizon compared to the state of the art. The method is tested over "legal" and "illegal" behavior of pedestrians, having trained the model with sparse observations and partial trajectories. The method, with no training data, is compared against a trained state of the art model. It is observed that the proposed method is robust even in new, previously unseen areas. Modeling Cognitive Processes from Multimodal Data (MCPMD) Workshop at 20th ACM International Conference on Multimodal Interaction (ICMI2018), Oct 2018, Boulder, Colorado, United States. In this paper we present results from recent experiments that suggest that chess players associate emotions to game situations and reactively use these associations to guide search for planning and problem solving. We describe the design of an instrument for capturing and interpreting multimodal signals of humans engaged in solving challenging problems. We review results from a pilot experiment with human experts engaged in solving challenging problems in Chess that revealed an unexpected observation of rapid changes in emotion as players attempt to solve challenging problems. We propose a cognitive model that describes the process by which subjects select chess chunks for use in interpretation of the game situation and describe initial results from a second experiment designed to test this model. Maître de Conférences - HDR (Associate Professor) in Computer Sciences. I am currently Maître de Conférences - HDR (Associate Professor) in Computer Sciences at Grenoble Alpes University and in the Pervasive Interaction team of Inria. Postdoc in the PRIMA team of the GRAVIR laboratory and Inria. I was involved in the European projects FAME and CHIL for integration of the context (linguistic, thematic, situation awareness) in the acoustic perception (speech recognition, speaker's localization) within an intelligent environment. I also work on an intelligent virtual cameraman. My Ph.D. thesis was about "statistical language modeling using Internet documents for continuous speech recognition". My work about speech recognition was used within the CStar and the Nespole! international projects. ATER (Research and teaching assistant). 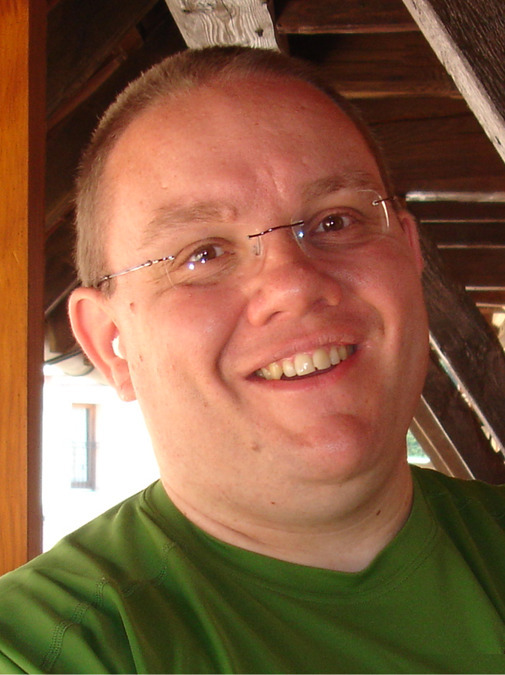 In 2001/2002, I was ATER (Research and teaching assistant) in computer sciences at University Pierre Mendès-France. Image courtesy of JP Guilbaud. Co-supervisor of the Graphics, Vision and Robotics (GVR) speciality of the MOSIG Master 2 program. The MOSIG program is an international Master program in English. I was involved in the definition of the new syllabuses and new organization of the MOSIG program. I am currently co-responsible of the GVR speciality (student selection, student defense...). Numerical culture: These courses are dedicated to leverage knowledge of non specialist students (i.e. non computer-science students) about backup (local, NAS, cloud), security (cryptography basis, secure protocols and their usage, virus/trojan/ransomeware...), data privacy (social networks, network) and cyber-bullying, information reliability and evaluation (hoax, fake news...). The courses are illustrated with news examples and contextualized with French laws. Office automation: Models underlying word processing and spreadsheet software are explained to improve skills of student in office automation. This knowledge is put into practice using Microsoft Office, Libre Office and Google docs. Survey management: This course presents survey methodology like questionnaire construction, population sampling and data collection. Traditional (face-to-face for instance) and more modern data collection techniques (Google form, LimeSurvey...) are used to illustrate the theoretical background. C++: I teach C++ to first year student in computer sciences. Databases: With different group of students, I present relational DBMS (MySQL/MariaDB, Access). In conjunction with the Web data and Mobile programming courses, NoSQL approaches are illustrated thought the use of MongoDB. The learning process relies on both theoretical and practical contents. System administration in heterogeneous environment: This lecture is given to sandwich-course students. It goes through administration models and practical implementation for system administration in heterogeneous environment (Linux/Windows/Mac OSX and mobile devices). Among topics, one can find Identity Management Systems, access control (cross platform identity, Kerberos, Single Sign-On, ...), administration automation, network storage (NAS, SAN) and "bring you own device" problem. Yan Hue (Co-supervisor 50% with Eric Castelli ). The thesis was stopped. Etienne Balit. (Co-supervisor 50% with Patrick Reignier ). Viet-Cuong Ta. This thesis was co-supervised by Eric Castelli (34%) and Trung-Kien Dao (33%) at the MICA institute and myself (33%) at Inria. Pedestrian detection around an autonomous car using Deep Learning (Valet and Hianic projects). Detection is done with our enhanced flavour of the OpenPose approach. Chess Expertise from Eye Gaze and Emotion (Thesis Thomas Guntz, Ceege project). Body tracking is done using a Kinect 2.0 with both Deep Learning (left) and Kinect 2 SDK (center). Emotion and face are tracked using a frontal webcam. Perception of a child during a storytelling session (Figurines project). Detection is done with our enhanced flavour of the OpenPose approach. Indoor pedestrian localization (Thesis Viet-Cuong Ta). Pedestrian behaviors in urban environment using Natural Vision and potential fields (Thesis Pavan Vasishta, Valet project). Perception from the robot point of view for intention of interaction detection (Pramad project). Mechanical design of the mobile head of our companion robot (Pramad project). Example from the MobileRGBD corpus (MobileRGBD project). MobileRGBD recording plateform (MobileRGBD project). Audio visual localization using a panaramic camera (top of tower) and a microphone array (bottom). 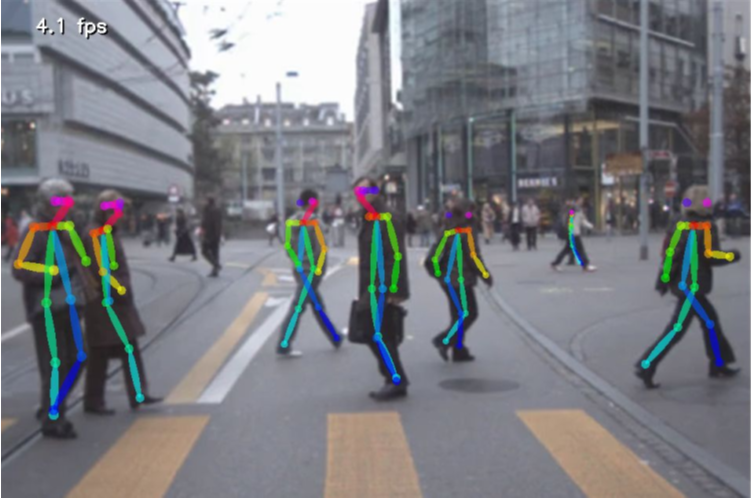 Multiple pedestrian tracking using only the LIDAR of a robot companion (Pramad project). Animation of the poppy robot by tangible manipulation (Thesis Etienne Balit). © Inria/Photo C. Morel. Deep learning investigation for chess player attention prediction using eye-tracking and game data.